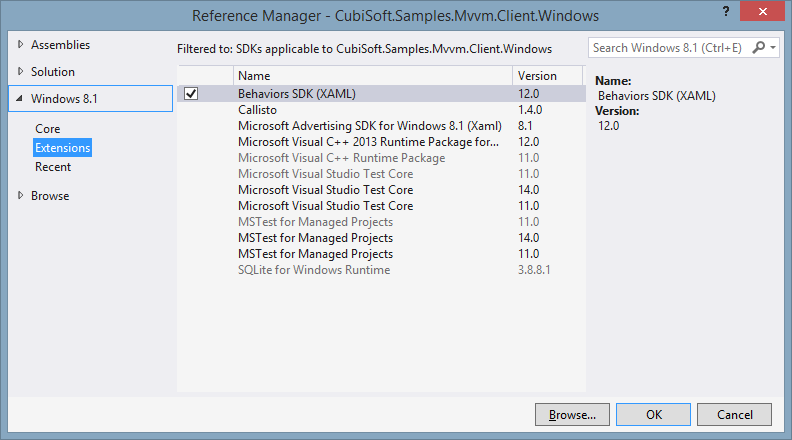 After the installation of the extension, you can reference the sdk in the Add Reference dialog, in the Windows 8.1 – Extensions section (same for windows phone). MVVM Cross takes care of the serialization and deserialization of the navigation parameter behind the scenes. However, once this object becomes more complex (reference types and/or nullable types), the serialization fails and the parameters are not carried over. (we will implement a work around in the later posts). After implementing the action, we also need to implement an ICommand that executes this method. The reason for this error message is that the ItemPageViewModel is implemented but the ItemPageView is not implemented yet. 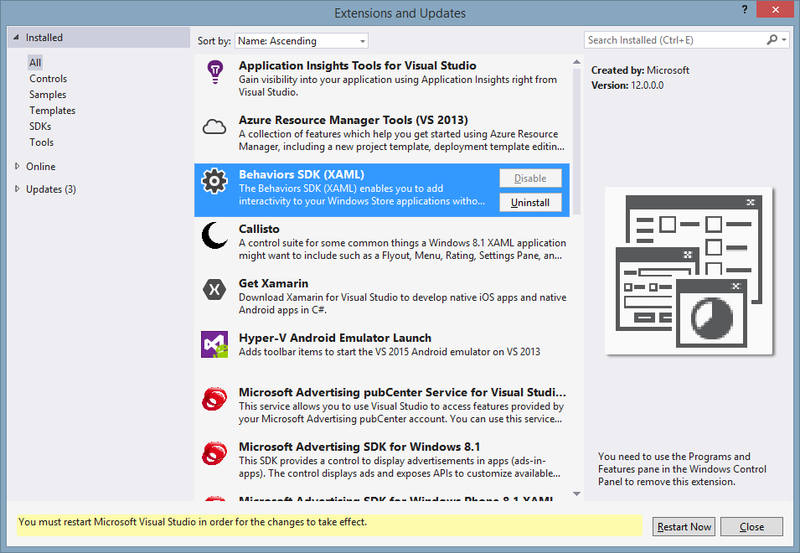 After moving the ItemPage.xaml into the Views namespace and folder and renaming and making necessary adjustments (i.e. the page has to derive from MvxWindowsPage), the navigation should work as expected. /// A page that displays details for a single item within a group. At this point we have two pages, the main hub page and the item view page and forward navigation is setup properly on the hub page view towards the item. However, we haven’t yet implemented a back navigation. For the backwards navigation command (to bind to the back button), we have two options. We can either keep the navigation stack on the view models, and use the ShowViewModel function to go back to the previous page (this is not desirable in most scenarios, since it will instantiate a new page view), or somehow let the current frame know that the ViewModel wants to navigate back. NOTE: In Windows and Windows Phone application, the navigation stack is implemented in the Frame level. In other words, the navigation is between views, rather than the view models as it is in MVVM-Cross. In order to make use of the platform specific (also in iOS and droid) navigation infrastructure we would need to implement a messaging structure between the views and ViewModels. 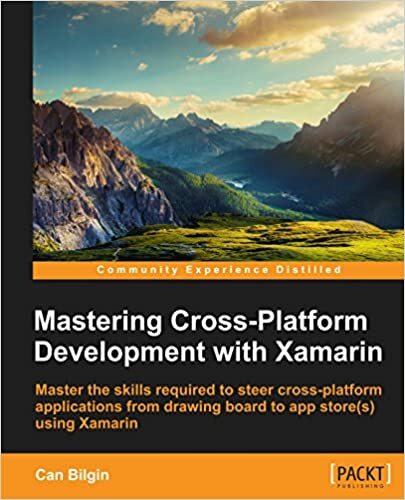 If we want to use the already implemented navigation infrastructure on the frame level, all we have to do is to call the Close method that is implemented on the ViewModel level in Mvvm Cross. This will alert the IMvxViewPresenter about the ChangePrentation request with the ClosePresentationHint, and the rest will be handled by the page dispatcher on windows runtime. NOTE: It would be more than “nice” to have a IsEnabled implementation to disable/enable the back button in this case according to the frame back stack. We will work on this in a later post. I think, at this point, we have the basic implementation, and can move on to the windows phone implementation/changes.